Google has announced it is testing a “smart contact lens” that can help measure glucose levels in tears. 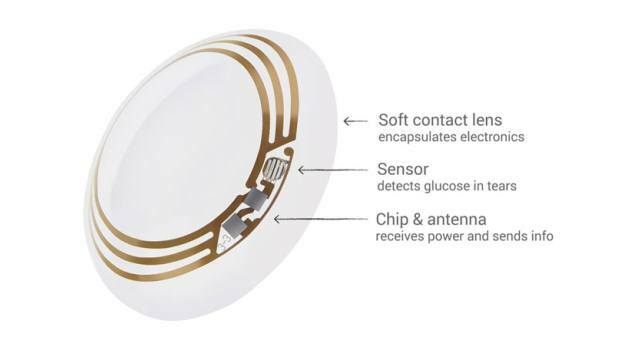 The lens uses a “tiny” wireless chip and a “miniaturized” glucose sensor embedded between two layers of lens material. Google said it is also working on integrating tiny LED lights that could light up to indicate that glucose levels have crossed certain thresholds. “It’s still early days for this technology, but we’ve completed multiple clinical research studies which are helping to refine our prototype,” Google said in a blogpost. According to the International Diabetes Federation (IDF), one in ten people across the world’s population are forecast to have diabetes by 2035. The company said it was working with the Food and Drug Administration (FDA) to bring the product to mainstream use. Google said it would work with these partners to develop apps aimed at making the measurements taken by the lens available to the wearer and their doctor.